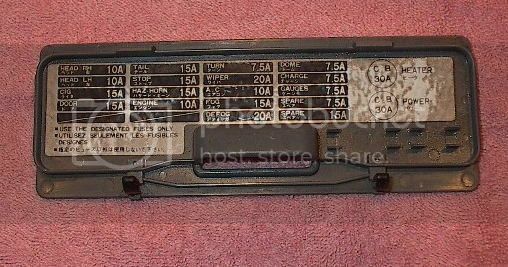 Does anyone know where the fuse is for the power windows and the sun roof on a 1989 Sahara HJ61. Both stopped working today and there's no mention of power windows or sun roof in the Gregory's manual. all sorted thanks to the exploroz forum. there is no fuse - there is a circuit breaker next to the other fuses, reset with pin. Hi Myhj61 has just lost all power to the windows what did you do to solve your prob? the bottom silver cylinder marked power can be reset with a paper clip, try that one. If not I'll look up the wiring diagram for you. No worries ,now you can wave out the window when we pass on the tracks.